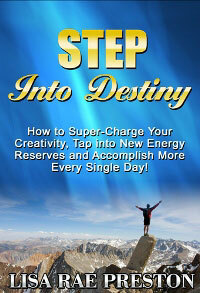 Step into Destiny ~ FREE Assessment Guide to Living Your Dreams! Who will the STEP Test help? Anybody who is looking for direction in life or insight into relationship will benefit from taking the STEP Test. How does uncovering your core passion provide direction in life? It helps you live a life accentuated by your strengths instead of tangled up in your weaknesses. How can STEP improve relationships? It’s the closest thing to crawling inside someone’s brain and seeing things from their viewpoint.Once you understand what they’re really seeing, it changes the way you communicate with them. How can STEP help parents? Again, seeing things from your child’s point of view gives you insight into why they act the way they do and what motivates them. While some behaviors may look inappropriate to you, when looking out their window, the behavior is totally logical. It makes perfect sense. Then, when you understand your child’s heart, you can appreciate them at a level that creates a stronger bond. The time spent judging others can be redirected into appreciating their viewpoint. to take the assessment for FREE!! I recently took the test and my core passion is EMPATHY. you likely want to pass it on to others. Encouraging others is your power-house gift. and faith in the middle of fear. So, please take the test! Share your core passion and feedback in the comments.